I decided to have a little fun with my Mac and tried to make a little video. Yes, it may be crappy, but it's my first time using this program. I love running in new locations and new routes... especially in sunshine! How fun!!! Isn't this warmer weather amazing for the soul? Fun video! Don't you love it when the sun is out? So much better than all clouds or - even worse - rain! You spouting water is hilarious!! More videos please. Every weekend. Thanks!! Also - thanks so much for the tat and your sweet note. I'll send my pic SOON! You did such a great job on your video! I ran that trail last summer with some friends, makes me want to get back up there "and do it and do it and live it up and do it again". SOOOO Fun!! 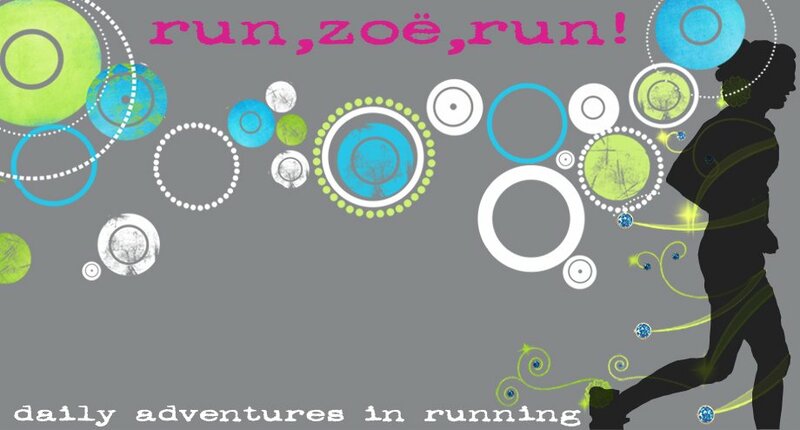 Love this Zoe.. What program did you use?